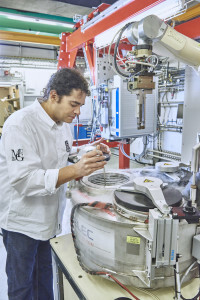 Expose is based at the Swiss Light Source (SLS) were it provides fast and reliable services in X-ray protein crystallography for pharmaceutical and biotechnological companies. Our services are charged by the hour. It is our objective to interfere as little as possible with the customers existing processes and standards. For instance we process crystals stored in all available pucks and canes without restriction. Also, we require no separate standard sample sheet, but work with the existing system of our customers. 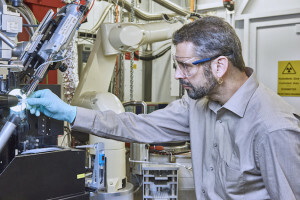 For interested companies which have only few crystals and do not wish to purchase entire shifts, the SLS offers a Mail-in-Crystallography Service which is operated by Expose as well. We routinely process the data crudely on-the-fly for quality control purposes. If wished, we also process the data according to your predefined criteria. Just provide us your desired R-meas and I/I(sigma) cut-offs and we will provide you with mtz-files of the datasets. Do you need more manpower in the structure solution and refinement steps? Check out the structure solution section.